#National Pie Day is here! We at Honeywell Biscuit Co love a good pie. From Apple to Pecan, we’re all over it. 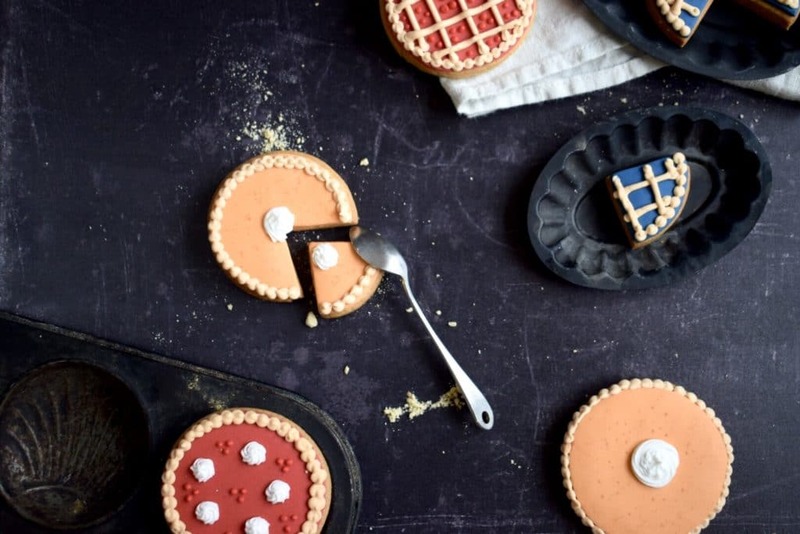 We also happen to love biscuits and tiny food, which resulted in the following, mega cute, super easy Pie Cookie tutorial. 1. Roll out your chosen shade of fondant icing onto a greased surface, or onto baking paper. 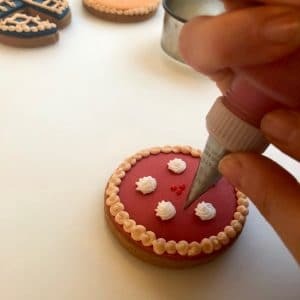 Once at around 3mm thickness, cut a circle using your circular cutter or an upside down drinking glass which will fit the biscuit. 2. 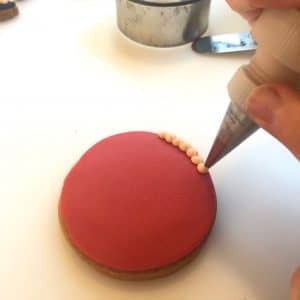 Pop a little water onto your biscuit with a brush and then, using a palette knife, carefully shimmy your fondant off the greased surface and place onto your biscuit. 3. 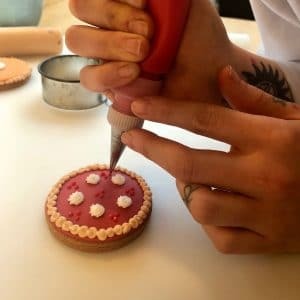 Using the palm of your hand, give your biscuit with the fondant on top, a soft circular rub to help secure the fondant in place. 4. 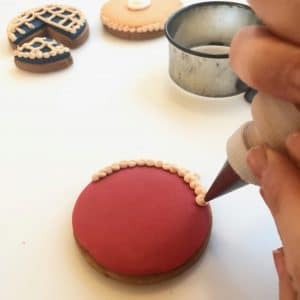 You can use a thumb to soften the edges of the fondant in-line with the edge of the biscuit too. Step 5 – Using a piping bottle or bag, with a Size 3 PME plain nozzle tip, start to create your pie crust piping. 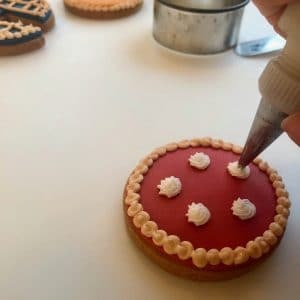 You’ll need to ensure your royal icing is soft enough that it will pipe easily, but not so runny that it will loose it’s shape. Step 6 – Holding your piping bottle upright, squeeze to create a ‘blob’. 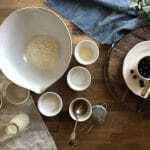 Lifting up and clockwise simultaneously, slightly loosen your squeeze to create a ‘pearling’ effect, and repeat this until you complete the pie crust edge. Step 7 – Next, to add the pie swirled cream details, opt for white royal icing inside a piping bottle or bag with a PME Size 50 star nozzle. Step 8 – Squeeze gently and retain a steady flow, whilst you pipe a tiny circle, and then repeat slightly smaller within that circle to create a swirl shape. Step 9 – You can add as many of these as you like, and wherever you like! 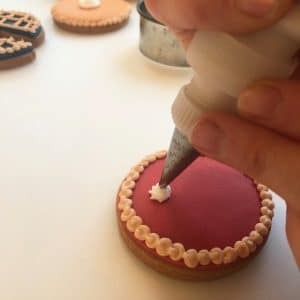 Step 10 – Swap your bag/bottle for another piping bag or bottle in your chosen shade, with a PME size 1.5 plain tip nozzle, to add some dotting detail. Step 11 – Squeezing gently with your bottle held upright, release pressure gently, pulling upwards. 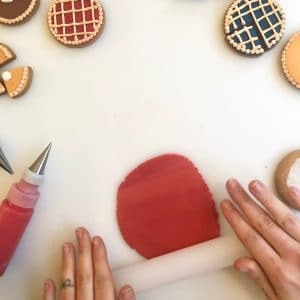 Step 12 – Add as many of these as you’d like, to create your finished pie design!